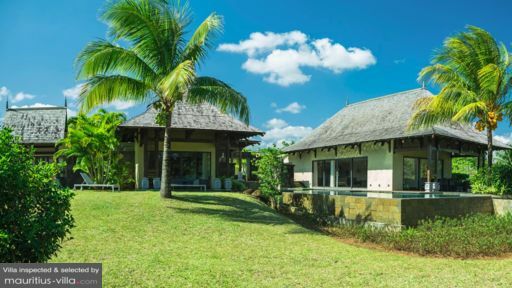 Boasting scenic views of the sparkling azure lagoon, Villa Alina is idea for larger groups and families who want to enjoy a unique holiday in Mauritius. Featuring stunning water features and a gloriously elegant interior, this villa can easily rival some of the most luxurious hotels in the world. Best of all, Villa Alina comes with a plethora of services and amenities designed to render your stay even more enjoyable. 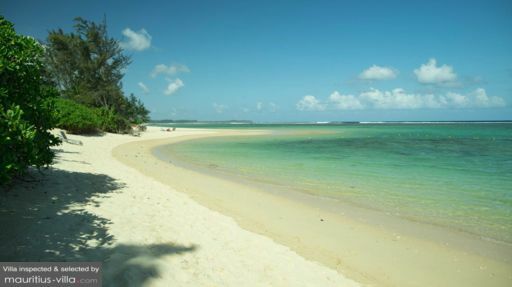 This villa is located in the South of Mauritius, between two fishermen villages. Villa Alina is equipped with three air-conditioned bedrooms to sleep up to six people. Two additional cots can also be added upon request, free of charge. All three suites are equipped with en-suite bathrooms, complete with tub, shower, double sinks and the likes. Two of the suites come with king-sized beds, while the third is equipped with double twin beds. All the bedrooms overlook the garden or the ocean. Guests at the villa Alina can enjoy a magnificent outdoors area, complete with lush tropical foliage and infinity pool. To help you make the most of the warm tropical evenings, an outdoor dining table has also been set up on the terrace. Guests can also make the most out of the barbecue equipment as well as the sunbeds that have been set up all around the garden. A free golf cart is also at your disposal to help you navigate around the grounds or visit the nearby 5-star hotel. With large and airy living quarters, Villa Alina can comfortably accommodate 8 people. This self-catering villa also boasts a fully-equipped kitchen, complete with various types of amenities such as dishwasher, sink, stove, oven, microwave, coffee machine and the likes . With wide windows to let in plenty of the glorious tropical sunlight, Villa Alina also comes with a spacious living room, comfortable couches, flat-screen television and coffee table. While the villa additionally features a dining room, guests can also make the most out of the outdoors eating area should they want to enjoy their dinner under the stars. All the living quarters either come with fans or air-conditioning units. At villa Alina, guests can enjoy a wide range of services destined to render their vacation as relaxing as possible. For example, upon arrival, guests receive a welcome hamper filled with a variety of goodies such as soaps and other bathroom amenities, sarongs, Nespresso capsules, water bottles, wine and even a free, fully-prepared meal on your first night. In addition, a concierge service is at your disposal from Monday to Sunday. Guests can also benefit from a 24/24 security. Best of all, you can also enjoy the services of a housekeeper to take care of any tedious cleaning up. The housekeeper will show up every day from 9am to 3pm. For an extra fee, it is even possible to hire an in-house cook to whip up any dish of your choice or even help you sample some local delicacies. Villa Alina is in the south of Mauritius, which is known for its vibrant green scenery which contrasts beautifully with the azure ocean. A short drive away from the villa is found Maconde, a picturesque viewpoint located high above sea leve. This spot dates back to 1878 and provides glorious views, both during day and nighttime. 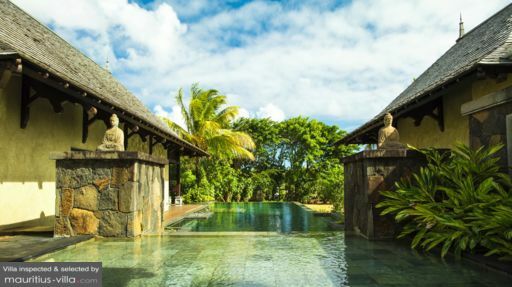 This villa is also a mere five minutes away from the So Sofitel Mauritius hotel. Guests of villa Alina can enjoy a 10% discount at the hotel spa. You can also make full use of the hotel’s water activities and tennis court.